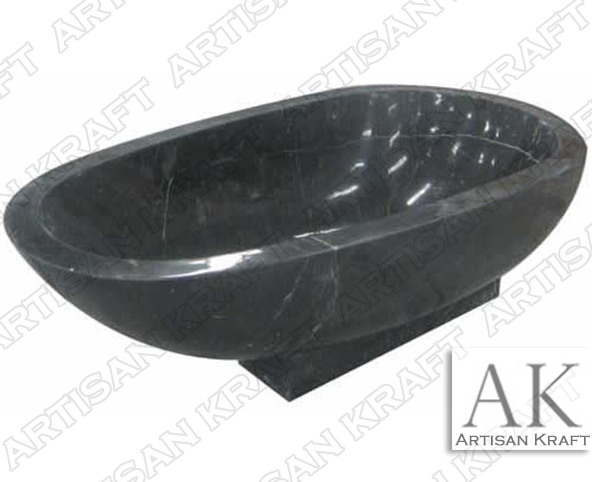 The Black Forest Marble tub is a uniquely shaped double ended pedestal bowl tub which is perfect for soaking. The narrow end of the tub offers a 30 degree soaking side to relax in. Polished black marble tubs are very popular in modern bathrooms. The overall feel of this tub as a contemporary feel. We offer many more modern stone bathtubs.